The controversial artificial reef in Bournemouth has finally sunk beyond repair after a last chance to save it has been ditched. 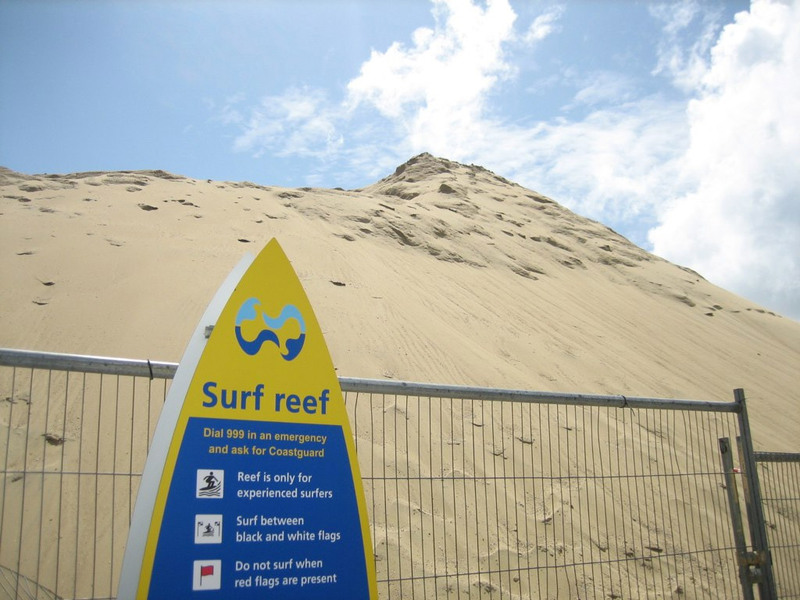 The £3.2million reef that was made up of sandbags has been beset with problems since its launch in 2009. The area was even declared a potential death trap and closed to the public after it was found to be producing dangerous undercurrents. The initial consultation involved councillors visiting New Zealand and employing the skills of a local company called ASR, who have since gone into administration. Soon after the build commenced it became obvious that the so-called engineers at ASR had little idea what they were actually doing and it was subsequently closed. The reef was built 750ft out to sea off the Boscombe area and was made of 55 submerged sand-filled bags, which are believed to have been displaced and damaged over time. Local surfers had criticised the project for producing ‘the wrong sort of waves’. There was even a concern that people could be sucked down the gaps that had emerged in the structure. In 2012 after a series of problems and setbacks, local council officials changed tack and had one last ditch attempt to save the project by trying to convert the reef into a dive and snorkelling area. The council had planned to sink other objects around the site to create a route of interest leading to the sandbags. But with the council having already dropped £3million straight into the ocean it became clear that enough was enough. A former member of the council, Ben Grower, who never backed the idea lambasted the entire concept. “I’m not surprised in the slightest by the news that the surf reef has been abandoned – the plan was always a load of rubbish,” he stated.